It didn’t look like there was anything interesting between Ljubljana and Bled and the weather was still bad, so we took the train. There was a short ride from the station to the town, which we rode to before going to the campground. Bled is incredibly touristy, but with good reason. Bled lake is quite small and very photogenic, with its island and castle. There are also a lot of adventure activities like canyoning and white water rafting. On the first day we had a few drinks and chilled at the campground. In the evening I went for a bike ride up a nearby very steep dirt road that went for about 5km before opening out to a very peaceful meadow with a few buildings. It was a rough track and more suited to a properly equipped mountain bike than the 1.75″ slicks I was using. The ride back down was still very fun though. 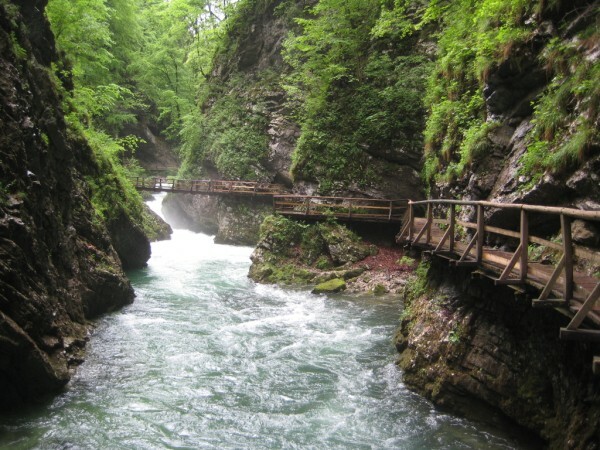 On the second day we visited Vintgar Gorge a short distance away from Bled. It’s a lovely narrow gorge with a walkway following along the rapids, ending at a waterfall. Our photos don’t do it justice, and I highly recommend this place. In the afternoon we went white water rafting on the Sava river. It was far from extreme, but fun nonetheless. We finished up at the farm of the people who run the place. They had a heap of animals running around, and they gave us a shot of their homemade spirits which was impressively strong, but reasonably drinkable. Bled was perfect for a relaxing escape from riding in the rain. The lake was beautiful and the campground was one of the best we visited on the trip. 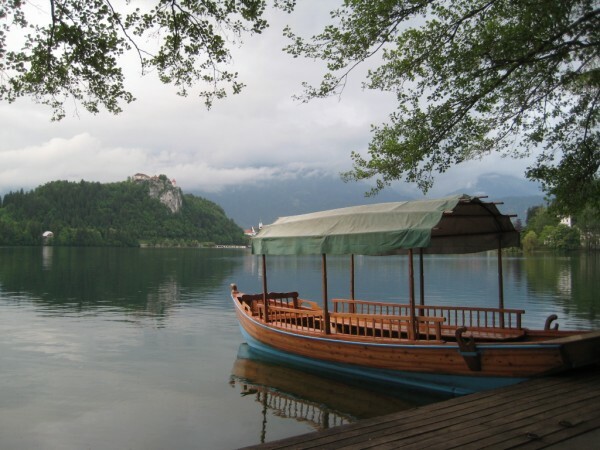 This entry was posted in Slovenia and Croatia and tagged camping, Lake Bled, Slovenia, Vintgar Gorge, white water rafting by wally. Bookmark the permalink.